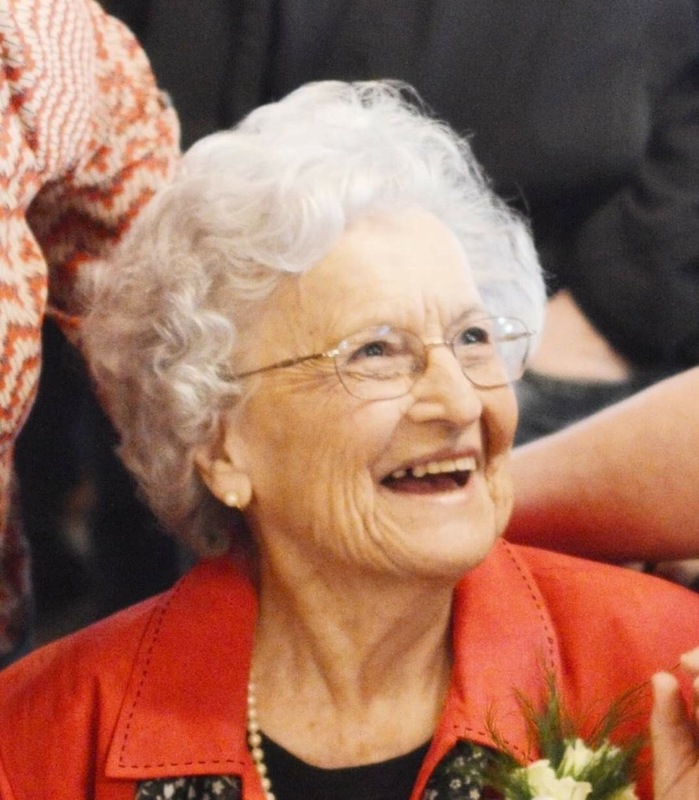 Eula Dodd Kinney, 99, of Rabun County, GA passed away at her home in Mountain City, GA on November 2, 2018. Born January 27, 1919, she was the daughter of the late James E. Dodd and Minnie Loudermilk Dodd. She was a nurse's aid at Ridgecrest Hospital, was a member of Clayton Baptist Church, and Order of the Eastern Start-Chapter. Eula was preceded in death by her husband, Raymond Marvin Kinney and parents, James Dodd and Minnie Loudermilk Dodd, by a son, Cliff Kinney, and by six brothers and two sisters. She is survived by two daughters, Debra Taylor of Clayton, GA and Ramona Watts (Freddie) of Mountain City, GA. Grandchildren, Shawn Justice, Keri McCoy (Keith), Brent Taylor (Heather), Michael Kuntz (Kristi), Mandy Kuntz (Alex), Jamie Page, and Jake Watts, and great grandchildren, Addison McCoy, Olivia Furney, Mason and Bryson Kuntz, Amelia Taylor, Gavin Page, and Austin Nye also survive. Funeral services will be at the Eastside Chapel of Hunter Funeral Home on Sunday November 4, 2018 at 2:00pm with Rev. Michael Garroutte and Rev. Danny Cannon officiating, burial to follow at Long Creek Memorial Cemetery. The body is at Hunter Funeral Home, visitation will be in the Eastside Chapel of Hunter Funeral Home, Sunday November 4, 2018 from 12:00noon to 2:00pm (the funeral hour).